The definitive guide to leading the congregation, updated to meet the needs of today’s church leaders. 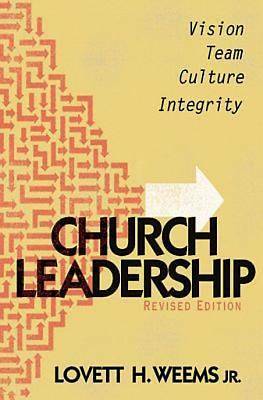 Much has changed since the first edition of Lovett Weems’s seminal work Church Leadership appeared in 1993. In that time a substantial literature about leading the congregation has appeared, written from a broad variety of perspectives. But in some ways, little has changed in that time. The need for leadership in the church—defined as discovering the faithful future into which God is calling the congregation, and walking with the congregation into that future—is just as pressing as it ever was. And for that reason, the need for clear, insightful thinking about leadership is just as great as it ever was. In this revised edition, Weems draws on the best new ideas and research in organizational leadership, yet always with his trademark theological grounding foremost in mind. Anyone who guides the life of a congregation, be they clergy or laity, will find Church Leadership the indispensable tool with which to follow their calling to be a church leader.